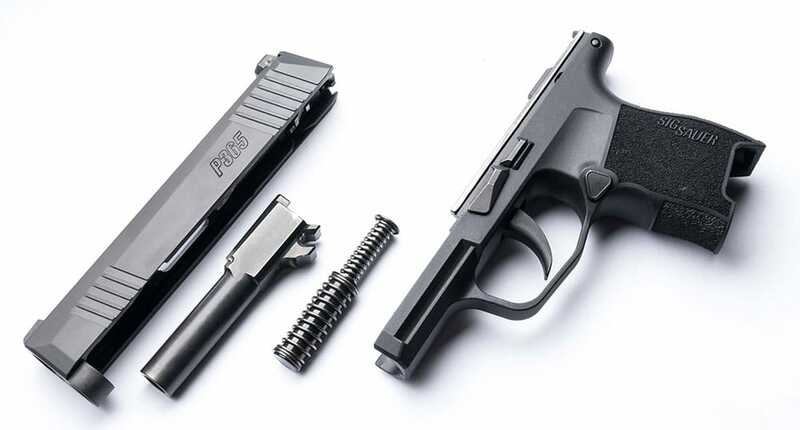 The SIG SAUER P365 has arrived and if you carry concealed you are going to want one — seriously — it’s the CCW gun you’ve always wanted and now it’s a reality. 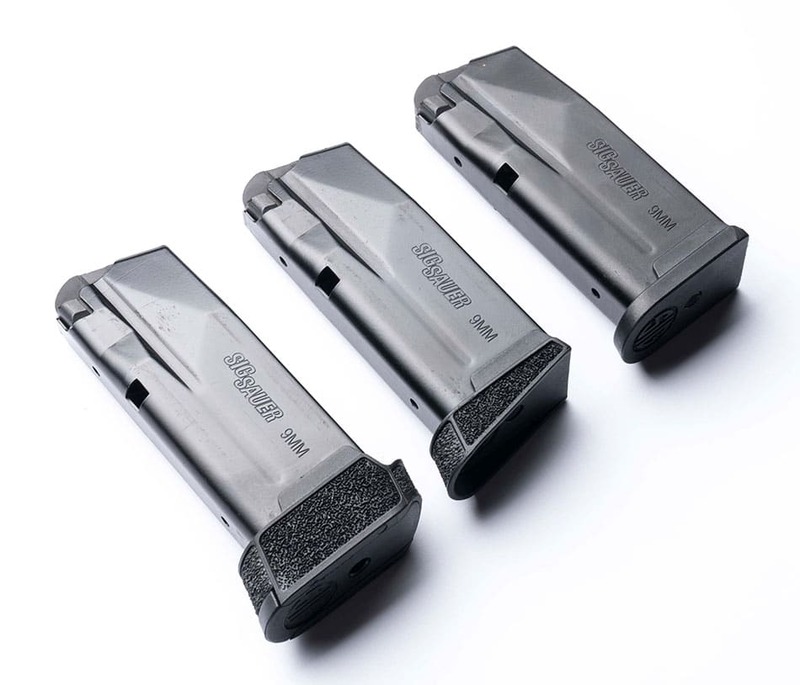 It was a long time in the making but the engineers at SIG SAUER and Phil Strader (Pistol Product Manager) put everything they had into making the CCW pistol you can depend on 365 days a year. 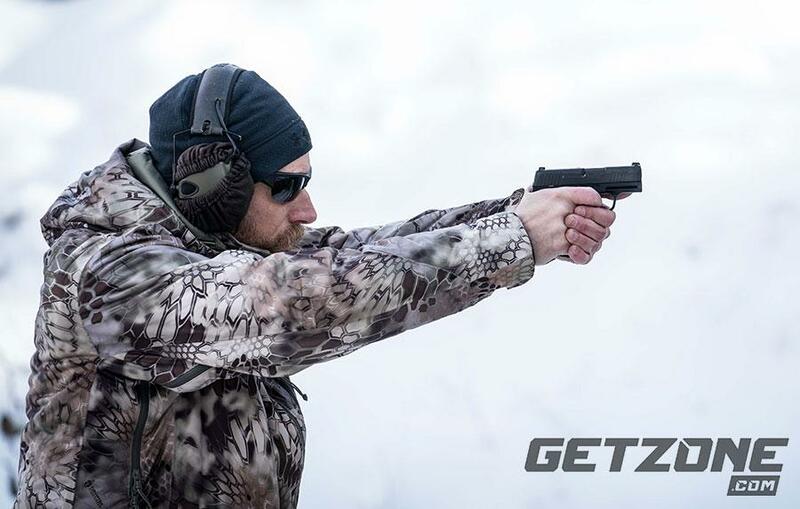 SIG SAUER is a name that’s been associated with words like reliability and innovation. I can vouch for the reliability part having carried a P226 on duty for many years and as one of the department armors, I’ve seen officers do their worst to try and break them and they can’t. A few weeks ago I made the trip across the country to the SIG SAUER headquarters for the release of a new gun and no matter how nice I asked or tried to pry information out of them, they wouldn’t tell me what it was even after signing the NDA. When I left Kalifornia (sic) the temperature was in the high 70’s, when I got off the plane in Manchester, New Hampshire it was single digits with snow on the deck. I grew up in New England but two decades in SoCal thinned out my blood some. Let’s just say my bag was packed with most of the cold weather hunting gear I own and my insulated hunting boots — and I was definitely going to need them. The P365 represents the best of SIG SAUER innovation and reliability. Photo courtesy of SIG SAUER. The group of writers and editors sat around the conference table at SIG SAUER HQ for what felt like really long time — it was worse than waiting for the final bell at school to ring and you would swear the clock was ticking in the wrong direction. Phil Strader figured if he didn’t show us the gun soon there was going to be a mini-riot. When he finally pulled down the curtain and showed us the SIG SAUER P365, my first thought was it’s another small semi-auto pistol — don’t they already make a bunch of those? I’ve learned over the years to not critique the gumbo until I had a taste for myself. The SIG SAUER P365 isn’t a chopped down version of a pistol they already make. This pistol was built from the ground up for concealed carry. Specifically, the pistol is built around the magazine. This concealable pistol chambered in 9mm comes with 10 round magazines in a frame size where most guns its size hold 6 to 8 rounds. Did I mention there is also a 12 round magazine available for purchase separately? The magazines at first glance look like any normal magazine but with a closer look you can see why there are three patents pending on the magazine. 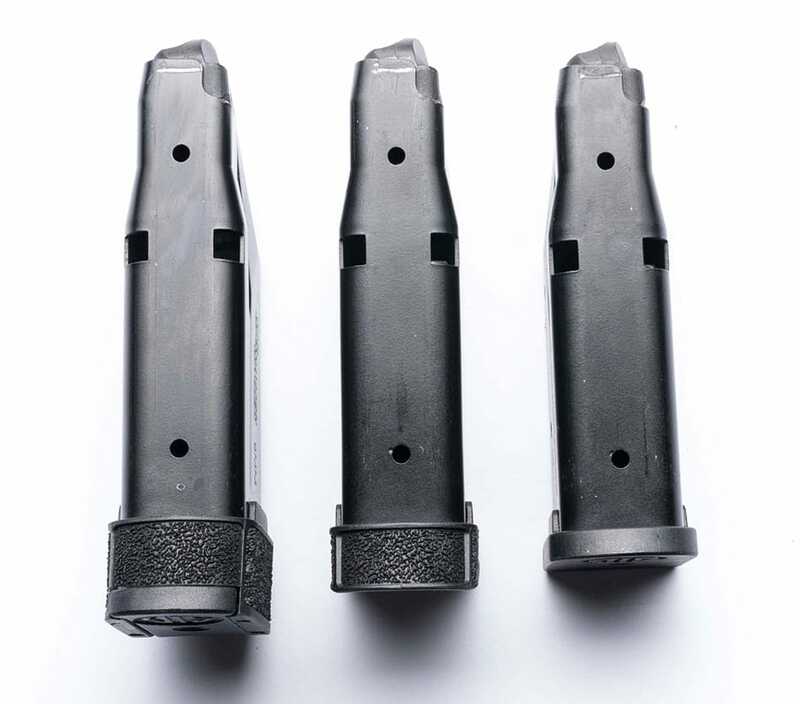 L to R 12 Round, 10 round extended and 10 round flush magazines. Photo courtesy of SIG SAUER. This wasn’t going to be a SHOT or NRA release where all we get to do is put paws on the gun and not get to shoot it. 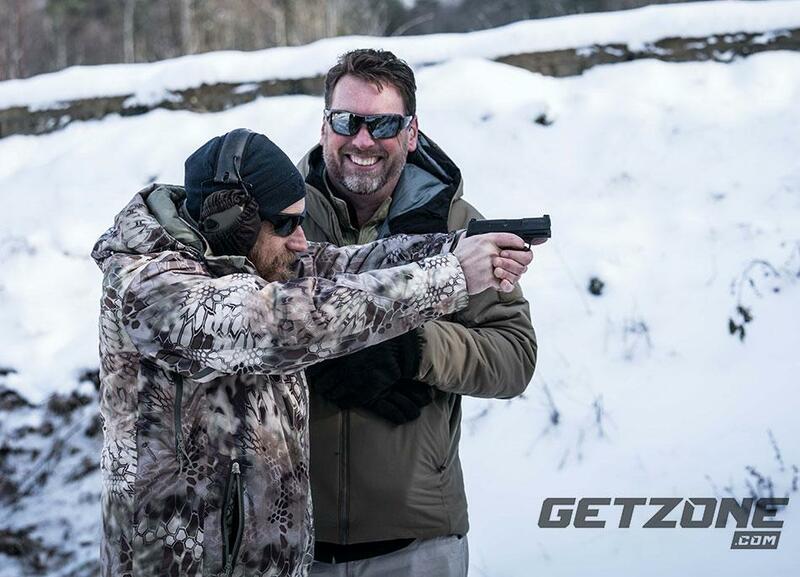 We loaded up and headed out to Area 51 at the SIG SAUER Academy for some cold weather training — I mean range time. Stepping out of the warm SUV was a bit of a shock but upon seeing the cases of ammo at all the different firing stations I quickly forgot about how cold it was. The only time I was reminded that it was well below freezing was when it came time to stuff magazines. Running the P365 Two hand supported took some reps to get the proper grip. It took me a few magazines to get the hang of shooting a smaller gun. My EDC has a grip size for a 15 round magazine. I was fortunate to have shooting champion, Phil Strader literally watching over my shoulder coaching me on how to get a proper grip on the smaller gun. (No pressure, Yah right) My first impression was something along the lines of does this thing ever run out of ammo? My brain has been programmed to shooting a small gun equals small amount of ammo. I started up close at five yards and discovered if I did my part the gun did put round after round on top of each other and once ragged hole groups were the norm, it was out to 10 yards for me. On the 50-yard steel silhouette I was averaging about 7 or 8 hits per magazine — I blamed the misses on my shivering. I finished up day one doing multiple threat drills on steel while moving. The small gun was surprisingly controllable when shooting rapid strings. Running the P365 non-dominant supported shooting worked well. Day one total was pretty close to 500 rounds through all three magazine types. With the flush fit magazine I was still able to get a good firing grip, a little better with the extended grip on the 10 but my favorite and I think I speak for all the guys there including the Academy staff is the 12 rounder. Starting off with 13 rounds made it feel like a Pez dispenser for 9mm bullets. Not too much pressure with Phil Strader coaching, right? The ammo I used was mostly SIG SAUER Brand: 100-grain Frangible, 115-grain Elite FMJ, 115, 124 and 147-grain Elite V-Crown JHP as well as Speer Gold Dot 124-grain +P and Hornady Critical Defense 115-grain FTX. I thought the +P was going to hurt but I didn’t notice much of a difference at all and the gun gobbled it up like Pac Man. For grins, I loaded a bunch of magazines with a mixed load of everything on the table and the SIG SAUER P365 didn’t mind a mixed diet at all. 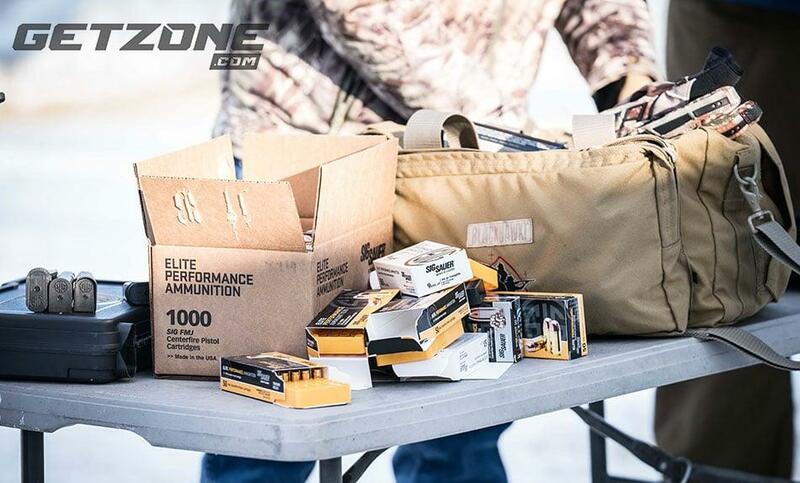 It’s easy to forget its below freezing when you have cases of ammo to shoot. 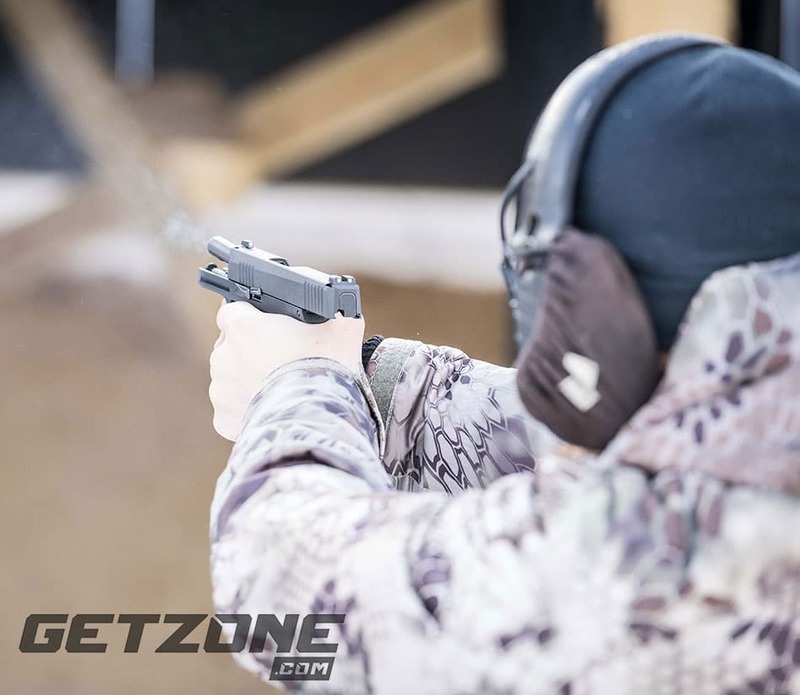 Day two we used the SIG SAUER P365 with BlackPoint Tactical holsters and mag pouches in an abbreviated concealed carry class taught by the Academy staff — in the indoor range. I chose the BlackPoint appendix rig since that’s how I carry. I was a little bummed out when I got all kitted up and the P365 disappeared under my sweater — by the end of the first drill all I could think about was why did I have to live in Kalifornia where there was no way I could get this gun since the communist state has an approved gun list that will soon only have squirt guns on it. I verbalized my predicament while we were loading mags and one of the guys said, “It’s time to move buddy.” Hopefully some day soon I’ll escape to free America. During the CCW class we worked on perfecting our draw from various positions, like seated at a table and seated in a car — they drove a car onto the indoor range for us to use. I found after some practice I was able to knock out slide lock reload smoothly and quickly. The magazines are big enough so I was also able to manipulate them during tactical reloads without dropping them. With some of the smaller pistols I’ve shot the magazines are just too small and I usually end up with a yard sale when I try to manipulate them in my hands. After two days of range time, my hands were a little sore but it was worth it. On the plane ride home I dozed off thinking about warmer weather and moving to a gun friendly state so I could own a P365 some day. The folks at SIG SAUER told us by the time the embargo is lifted and we are cleared hot to publish our articles, the P365 would be heading to dealer shelves. BlackPoint Tactical has holsters ready to roll and I’m sure every holster manufacturer will be tooling up as fast so they can to meet the demand. Weight: (with empty mag) 17.8 oz.